My Name is Int'l/Amer/Can. Ch. Serrants Bronx Von Whelan. I'm pretty pleased to tell you I did fairly well in the show ring in 1998 & 1999, Top-Ten ranked in Breed points, Top-20 in Group points and I was an ARC Top-20 contender both years! Just Like my Dad was! I bet my Dad, Bannor(Multiple BISS Select1 Amer/Can. Ch. Serrants Bannor, CD and my Grandpa Grant (Multiple BIS/BISS Ch. Tobants Grant)are real proud of me ! I am owned and loved by Deborah D. Whelan, Von Whelan Rottweilers is her kennel name. She has owned Rottweilers since the early 1980's, but it wasn't till she got my Grandmother, Honey Bun, (AKC/SKC Ch. Tobants Honey Bun V Whelan, HIC) that things started to really happen in the show ring. Click on Honey to see her picture on her page. She's a real beauty! Everybody loved Honey. 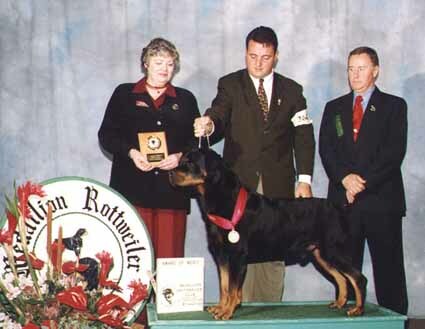 My owner, Deborah, follows all the rules, is a Code of Ethics breeder, belonged to the Medallion Rottweiler Club. She strictly follows the guidelines in the AKC Rottweiler Standard for the breed, striving to produce only the best. She's real picky. She has produced American, Australian, Canadian, Philippine champions, numerous specialty winners and placers and ARC top producers, along with obedience titled kids. Honey's sons and daughters have gone on to produce many BIS, BISS winners & Champions of their own! Breeding to the standard DOES make a difference! 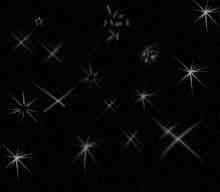 This site Copyright © 2011 Deborah D. Whelan. No photos may be copied from this site in whole or part without my permission.